Bristol, TN/VA -- The schedule is up, plans are set, and The Birthplace of Country Music is in full-on festival mode. Bristol Rhythm & Roots Reunion is just weeks away. This year Bristol Rhythm & Roots has added stages, bringing the total up to 24. With more than 160 live acts, you can look forward to seeing music at the new Machiavelli's Outdoor Tent, located just across the street from the eatery. CityMug @CityMac, Shelbee's Vintage Cafe and The Cradle Stage inside the former Ruth King Antiques building are new venues for music fans to gather and enjoy the music. 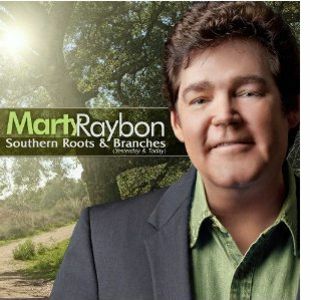 Nashville, TN -- The International Country Gospel Music Association (ICGMA) held their 56th Annual Convention and Gold Cross Awards Show this past weekend in historic West Plains, Missouri where it was announced Marty Raybon is the recipient of the 2012 ICGMA Bluegrass Artist of the Year Award. 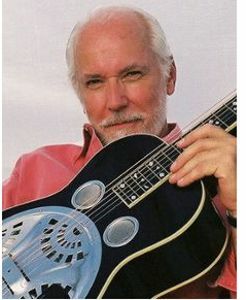 The bluegrass category included an impressive list of nominees including: Doyle Lawson, State of Grace, Eddie Gordon and Marty’s label-mate, brother-sister duo The Roys. The ICGMA is the oldest Country Gospel Music Organization in America. Raleigh, NC based bluegrass and Americana group, The Kickin Grass Band, has made its mark on the roots music scene with strong voices, engaging musicianship and original songs that ride the edge of tradition. The Raleigh-based Kickin Grass Band is known for their unique bluegrass style—equal parts vintage and nouveau. On their newest release, Walk With Me, the band delightfully stretches and builds each song beyond their firm footing in bluegrass, appealing to a broad roots music audience. 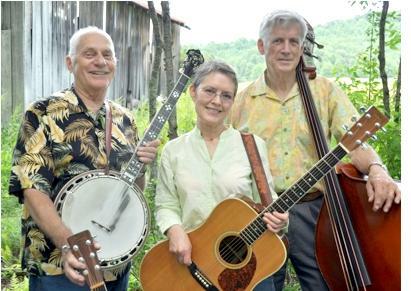 To the joy of listeners and benefit of the songs, the Kickin Grass Band is not afraid to follow their muse down the complementary paths of Old-time, Americana and folk. Nashville, TN -- Nashville’s Artist to the Stars, Corey Frizzell, received a top ten award nomination from the prestigious Artists Music Guild in the Freelance Visual Artist category. The award winners will be announced during the Artist Music Guild’s 2012 AMG Heritage Awards ceremony November 10th at the Heritage USA, formally known as PTL, in Fort Mill, SC. This year’s show will be a star studded event, taped and aired on PBS. 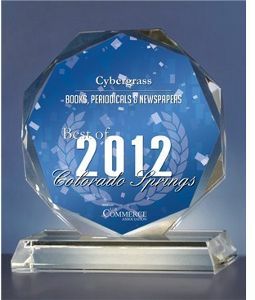 New York, NY -- Cybergrass has been selected for the 2012 Best of Colorado Springs Award in the Books, Periodicals & Newspapers category by the U.S. Commerce Association (USCA). Cybergrass first received this award in 2009 and also received it in 2010, 2011 and again this year. /Ryman.com/ Nashville, TN -- On February 3, at the 23rd Annual Pollstar Awards held in Los Angeles, California, the Ryman Auditorium was named Theatre of the Year for the second year in a row. The award was voted on by peers and is widely regarded as the most prestigious in the concert industry. 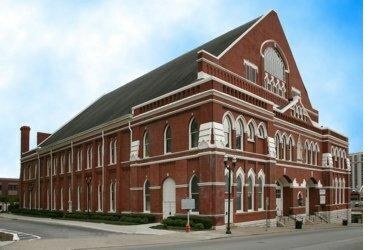 The Ryman was nominated along with only five other theatres in the nation: Beacon Theatre in New York City, Fox Theatre in Atlanta, Nokia Theatre L.A. Live in Los Angeles, Radio City Music Hall in New York City and Verizon Theatre at Grand Prairie in Grand Prairie, Texas. Bob Everhart, President of The Rural Roots Music Commission announced that Josh Slone & CoalTown have been selected to receive the Best Classic Bluegrass Album of the Year award for their self-titled new album released earlier this year on Rural Rhythm Records. This honor will be presented to Josh on Wednesday, August 31, at 11:30am at the 36th Annual Oldtime Country Bluegrass Festival held at The Plymouth County Fairgrounds in LeMars, Iowa.